The Amazon Simple Storage Service (Amazon S3) is a storage service that allows you to upload any kind of data at any time, from anywhere. This article will demonstrate how one can use this service from a UWP application. More specifically, the example shows how to upload an image from the device's library to the Amazon S3 Storage client. 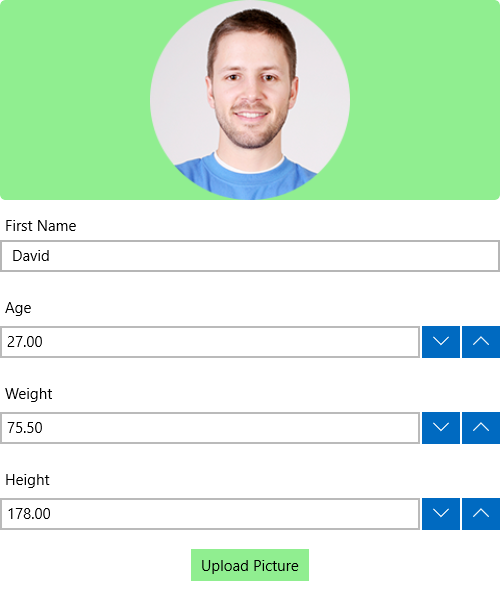 We are going to use the RadDataForm control from the Telerik UI for UWP suite in order to create the layout which will be a simple view regarding a user of our application. Open the NuGet Package Manager and install the AWSSDK.S3 package. If you do not have an AWS account in Visual Studio, please check the Getting Started article. Before proceeding with the example you will have to create a new bucket using the AWS Management Console. You can learn how to do that in the Creating a Bucket article. The next step is to create the ViewModel. It will need an IAmazonS3 client object which will be used for managing the data. Clicking on the button will allow you to choose another picture from the device's storage which is set as the picture of the user and uploaded to the bucket you have previously created.